As most Canadian’s do, Kyle started out on a pair of ice skates playing hockey on ice rinks and outdoor ponds across Ontario, Canada. However, before he could even walk there were signs of a passion for cars and speed. Kyle’s uncles (Mike and Peter Marcelli) were both motorcycles racers themselves. It was Kyle’s uncle Mike that first took him to the local go-kart facility in Goodwood, Ontario. From that day forward, all Kyle dreamed of was a career in auto racing. At age 10, Kyle expressed to his father (Tony Marcelli) his desire to be a racing driver. After purchasing a used 4­-cycle go­-kart, it was agreed that week days after work, Tony would take Kyle to the local school parking lot to practice. After a summer of driving around basketball nets and parking curbs, Kyle debuted in his first go­ kart race at the Simcoe Kart Club in 2001 at age 11. Kyle picked up the racing line around the circuit quite naturally and with his father and uncle watching from the sidelines, Kyle raced to a second place finish in his first ever go­-kart race. Today, at 28 years of age, Canada’s Kyle Marcelli has established himself at the professional level of sportscar racing. After a successful career in go­-karts and single­-seaters, Kyle made his rookie debut in the American Le Mans Series in 2010. From his series debut until the demise of ALMS in 2013, Kyle built a reputation of being a consistent front­ runner earning; six ­pole positions, six­ wins and eighteen podiums. Since then, Kyle has been part of successful programs both in Prototype and GT in a number of series including; the European Le Mans Series, the Grand Am Rolex SportsCar Series, the IMSA Continental Tire SportsCar Challenge, the IMSA WeatherTech SportsCar Series and the Pirelli World Challenge. In 2012, Kyle drove for the Pfaff Automotive Group in the Porsche GT3 Cup Canada. 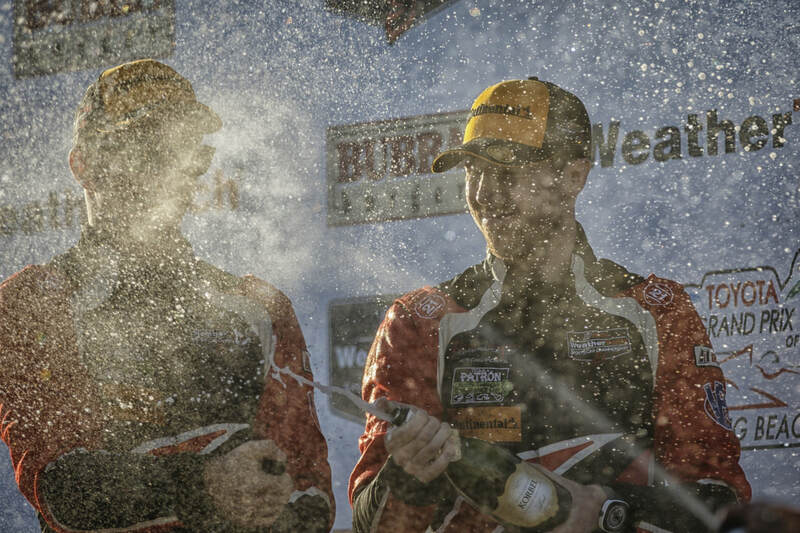 A dominating performance, winning all but one race, Kyle caught the attention of Porsche Motorsport. In 2013, with the guidance of Porsche, Kyle competed in four­ rounds of the Porsche Carrera Cup Deutschland, arguably the most competitive single ­make championships in the world. 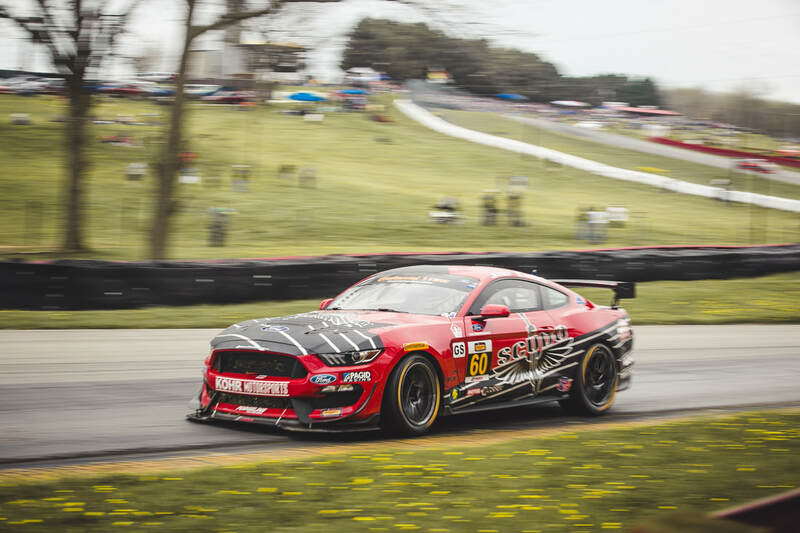 In 2014, Kyle drove for Scuderia Corsa at the wheel of a Ferrari 458 in select rounds of the Tudor United Sports Car Championship, while also driving a Porsche 911 for Rebel Rock Racing in the Continental Tire SportsCar Challenge. In 2015, Kyle drove a full-season for Mantella Autosport in the Continental Tire Sports Car Challenge in a Pratt & Miller Chevrolet Camaro Z28.R earning 6th in the drivers championship and the attention of GM whereby earning a factory test in the Cadillac ATS-V GT3. 2016 was a busy year for Marcelli as he drove for CRP Racing in the teams Audi R8 GT3 in the Pirelli World Challenge, as well Performance Tech Motorsport in the IMSA WeatherTech SportsCar Championship at the wheel of the LMPC prototype and select Trans Am Series events for Fields Racing in a Chevrolet Camaro TA2. In 2017, Kyle returned to the racing horse, joining R.Ferri Motorsport in the teams #61 Ferrari 488 GT3 in the Pirelli World Challenge as well as returning to Fields Racing in the #96 Chevrolet Camaro TA2 in the Trans Am Series. 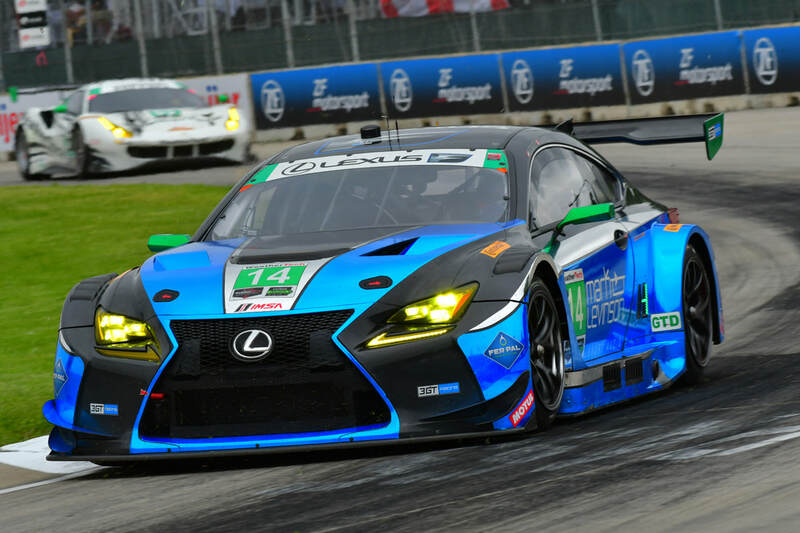 For 2018, Kyle will camping two full-time programs; the first with 3GT Racing in the beautiful blue #14 Lexus RC F GT3 in the IMSA WeatherTech SportsCar Championship and the second with Roush Performance / KohR Motorsports in the #60 Ford Mustang GT4 in the IMSA Continental Tire SportsCar Challenge. Kyle will also campaign two part-time programs; the first with PFAFF Motorsports in the #13 Porsche Caymen GT4 in the Pirelli World Challenge and the second with Fields Racing in the #96 Chevrolet Camaro TA2 in the Trans Am Series. Following his career aspirations of professional auto racing; Kyle is a consummate professional both on and off the race track. Kyle represents his passion, sport, sponsors, team and fans proudly and effectively. He’s winning, engaging and always visible. Kyle and his Marketing Team have successfully campaigned many partnerships and brand ambassador roles with industry leaders including; Lafarge – a Global leader in construction material, MBRP Performance Exhaust Inc. – a North American leader in performance exhaust, DynaPep Energy – the World’s first micro-energy shot, Merchant Services Ltd – a full-service credit card processing company, Pfaff Automotive Group – One of Canada’s premier automotive sales and service groups, and many others. Career Goal: To enjoy a successful career as a race driver, bringing winning results to the race team on and off the race circuit. To become a works racing driver. "If you work hard enough, and want it bad enough, dreams do come true"
Thanks For Making A Pit Stop Here!